The latest Steven Spielberg sci-fi epic is Ready Player One, based on the novel by Ernest Cline, and this is Spielberg’s best film in years. 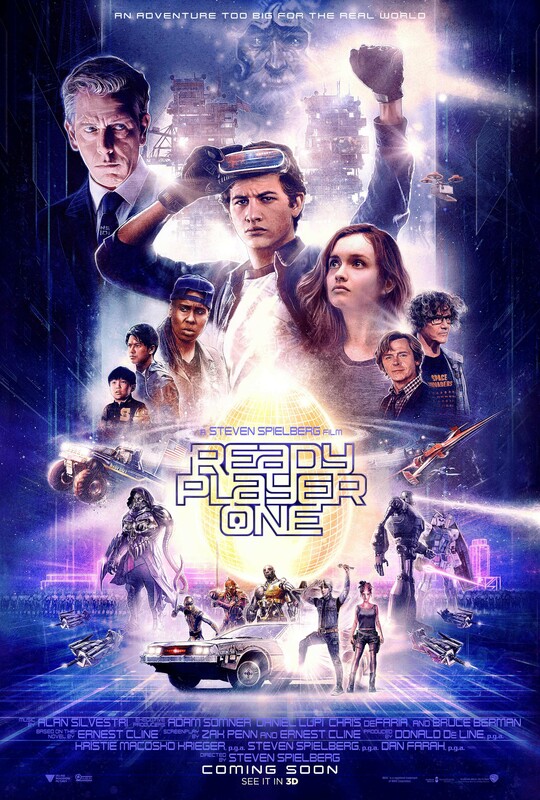 It takes place in Columbus, Ohio in 2045 and follows the saga of Wade Watts (Tye Sheridan), a downtrodden teenager who escapes his drab existence by living in a hyper VR called the OASIS. This online universe is a place where you can be anyone through avatars and live any kind of existence. Many visitors are active gamers like Wade who goes by a customized avatar called Parzival. Others have imaginative avatars as well, some unique, some are replicas of popular fictional characters. Some of these include the Iron Giant, Freddy Krueger, Chucky, Batman, Lara Croft and others. They all sport assorted gear, drive various vehicles and mixed costumes from across popular games, films, TV shows, etc. A great example is the DeLorean vehicle from Back to the Future that Parzival drives or a Clark Kent disguise that is used at one point. Comparing Wade’s drab real world, which is literally crumbling apart, to the wondrous marvel of the OASIS, it is easy to see why most of the world’s populace chooses to spend most of their time in the OASIS. In the film, the mysterious and super-rich creator of the OASIS, James Halliday (Mark Rylance) died a few years earlier. Before his death, Halliday set up an epic quest in the OASIS where gamers have to find three keys to gain control of the artificial realm and become insanely rich. Halliday had a deep love of pop culture, especially sci-fi, fantasy, anime, horror and comic books, and so sprinkled many Easter eggs throughout the OASIS as clues to finding the keys. Wade lives in squalor and like most players sets out to find the keys to figuratively open the door to a better life. He also shares Halliday’s love of pop culture and thinks creatively, which gives him a distinct advantage in the quest. Joining him are a ragtag team of Gunters (Easter egg hunters), who include Samantha Cook/Art3mis (Olivia Cooke), Aech (Lena Waithe), Daito (Win Morisaki) and Sho (Philip Zhao). Standing in their way are not just billions of other online gamers and Gunters but the CEO of Innovative Online Industries (IOI), Nolan Sorrento (Ben Mendelsohn). He commands a virtual army in the OASIS and desires to gain complete control of the online world. Needless to say, Sorrento will stop at nothing to win the ultimate prize, even if that means using the resources of IOI to endanger everyone, including Wade and his friends. 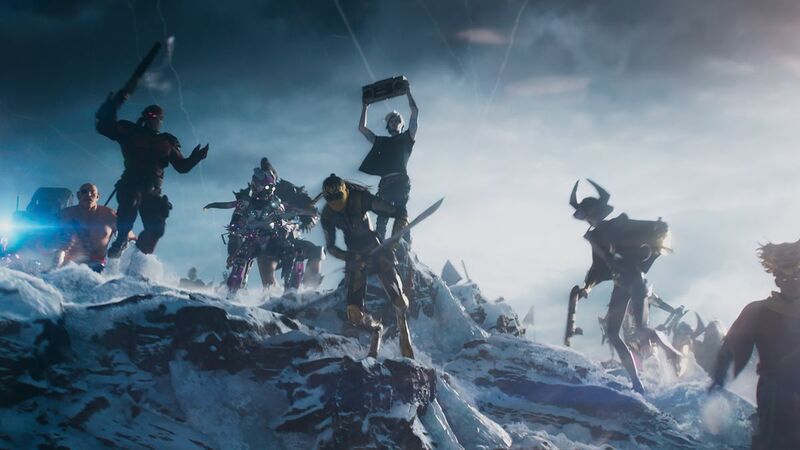 Ready Player One is a fresh, exciting and nostalgic ode to our ever-expanding pop culture, especially our favorite genres. Nearly every moment in the film just stuns our eyes with all the references that are too many to list here or even see after a few viewings. There are millions of them and part of the fun watching the film is trying to spot as many of them as possible. For a lesser director it would be so easy to let them overwhelm the film, but since Spielberg is Spielberg, he keeps the focus on the story and the characters. 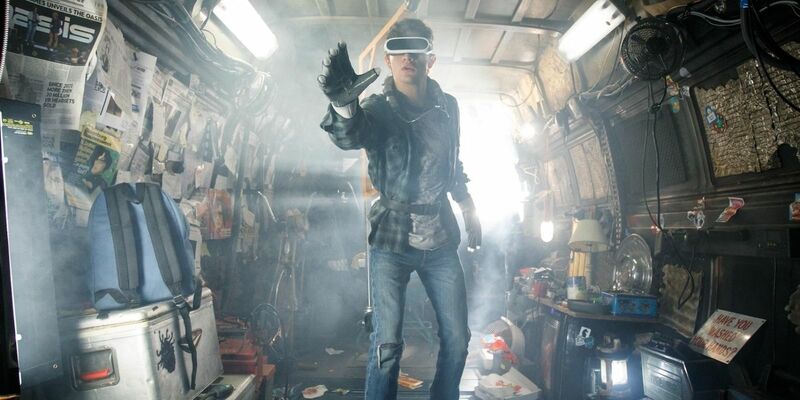 Many of the references and eggs actually serve a purpose in Ready Player One, in fact one of them, a certain film, plays an important role during a sequence that leaves you marveling over how Spielberg and his team managed to pull it off. As great as it is, Ready Player One may be too much for some, probably those that look down upon geek culture. Others who embrace the culture will love what this film offers. There are some drawbacks, however. A bit more time should have been spent in the real word just for comparison purposes. It is established that reality is undesirable, but it should have been shown more. We never learn why the world is decaying, is it solely because most people retreated to the OASIS? Wade’s real life was depressing but what about his friends’ lives? Aside from some screen time with Samantha, the others are ciphers. Also, a key message in the film about living your real life instead of retreating into fantasies is hit over our heads repeatedly to the point of overkill. Thankfully, Steven Spielberg’s mastery behind the camera and some genuinely good performances by Sheridan, Cooke, Waithe and Mendelsohn elevate the film above its faults. Of this group, Cooke and Mendelsohn stand out. Cooke’s character expresses a quiet sensitivity while exhibiting great strength and ingenuity. Meanwhile, Mendelsohn does a terrific job portraying the villainous corporate head of IOI. Nonetheless, the film is a pure joy and captures the fun and wonderment of Steven Spielberg’s earlier works. It reminds us why he is still the master storyteller in cinema. It lets us revel in our love of nerd culture while reminding us that the simple things are the best. Ready Player One is a heartfelt and visual spectacle that celebrates our love of geekdom. Go see it now and a few dozen times before buying the download or home release.